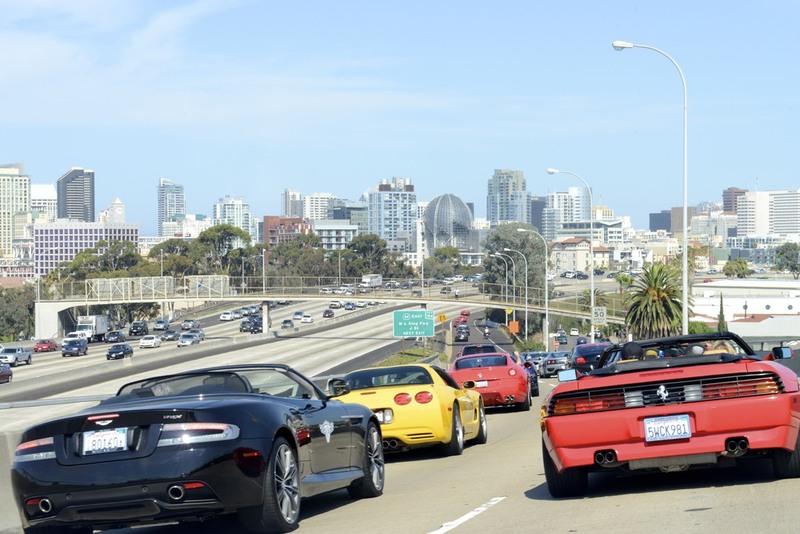 Cruise 4 Kids Sports & Exotic Car Rally & Show in San Diego invites 150 high-end luxury car owners to participate in a “car show & cruise.” Our event starts with an exclusive catered pre-party the night before to drivers and sponsors to network and socialize. In the morning the cars are decorated with event decals and are on display in a car show format open to the public. Participants are escorted through a private route and arrive at the Finish Line to indulge in a hosted bar, catered lunch, and fundraising activities. We also have a DJ, vendor/ sponsor booths, driving simulators, silent auction and raffle, and award presentation. This event is filmed by local news media, drones, HD car mounted cameras, and videographers to create our C4K movie. The “rally” is not a race, but a high end cruise limited to only 150 drivers. All proceeds from C4K Rally benefits Cruise 4 Kids and other pre-selected charity/foundation. COME RIDE WITH US!! Due to limited sponsorship and driver sign-ups we have decided to cancel the 2018 C4K Rally Poker Run. As a 501c3 non-profit, our primary goal is fundraising. Unfortunately, we did not generate enough sponsor and driver income to cover the upfront costs of producing the rally. In order to avoid a financial loss, we feel that it's in a our best interest to cancel our annual event. We also want to make the best use of our sponsors, volunteers, and donations received including our raffle/silent auction items. Donations for our raffle/silent auction will be used at our upcoming black tie event, The Teddy Ball, held on Saturday, November 24th, at the Town & Country San Diego in Mission Valley. Please contact Nino Venturella at Nino@c4ksd.com if you have further questions. Cruise 4 Kids (C4K) is having their 5th Annual Sports & Exotic Car Rally fundraiser in September call the C4K POKER RUN and is hiring 30 Rally Girls to make it a success. At Side Bar Nightclub, C4K will be hosting a casting call for girls who have previous modeling or promotional experience, are attractive, have outgoing personality, love to smile, and passionate about raising money for charity. Cruise 4 Kids(C4K) is it's own non-profit organization and organizes multiple fundraisers benefiting several other non-profits. C4K has created a separate website which focuses on the organization, the board members, and other events we produce. Please check out Cruise4KidsSD.org for more info on how you can get involved.